In our life there are so many ups and downs. There many mistakes but always make it positive. Do not say why I have this experience and do not be depressed. But transform yourselves to improvement. Always say next time and not why I commit this. Most especially be humble. I committed suicide once but God turn on my Ipad on which I heard the Christian Song. My second suicidal attempt on which I communicated with him through my 5 year old niece. During the time which I have anxiety I feel how Jesus Christ works in my life. The time I visited my life coach here in Singapore, I think of it and ahead of my request she is there waiting for me. When my soul was pulled out three times in my body, God is always there for me. More inspirational post to update on this site; so please visit this site to continue to read all my writings. Hope you like it. HIV or Human Immunodeficiency Virus is a lentivirus (a subgroup of retrovirus) that causes HIV infection and over time acquired immunodeficiency syndrome (AIDS) (see Wikipedia) . I wrote this article to save lives. I got an experience whereby I thought that I am HIV positive. I repeat, I just thought, that is only in my mind. That time I was so depressed because I based on the signs and symptoms via Internet. Take note via Internet, without going to any clinic for a blood test. After the test, I am still confused and doubt and wait for another 3 months. Still I am Negative. Trust and should not have doubt. Symptoms that I have is just a manifestation of anxiety. Take note that the only way to know that you are positive is through blood test. Only blood test! For Metro Manila, Philippines, you can check the clinic on which the consultation is free. Here is the link à Love Your Self. This is not intended only for male but also for female. If you are positive do not loose Hope, it is now treatable based on the mentioned drugs and most of treated people remain fit and well. Still there is no cure for HIV but there is a medicine which is called antiretroviral medicines. Those are Nucleoside or nucleotide reverse transcriptase inhibitors - abacavir, didanosine, emtricitabine, lamivudine, stavudine and tenofovir. (see patientinfo). This medicine is used to make the virus dormant. You can add me on WhatsApp and Viber à 87009048 for counselling. I am willing to help as God transform my lives. For life coaching you can add my life coach à Mr. Gerald (+63 927 287 8210). Still pray to God and Hope for guidance. Life is so short, do not waste it. Live in a much fulfilling and enjoyable way. Number one thing is Love yourself. You cannot love others if you do not love yourself. Today, May 27, 2012, while thinking of business strategy and looking for a nice topic to post in “Amazing Brandz”, I try to get an account to the most popular business site in the Planet, “Forbes.com”. Remember the song “Billionaire song of Bruno Mars”? He wants to be a cover of Forbes magazine. Because Forbes features a lot of wealth around the world; the most popular richest man in the world. Being a young at heart for a Filipino blogger like me, I am dreaming that someday there would be a Filipino to top the richest man in the world or it could be me. J Well may God opens up his grace and granted my prayer. The main reason why I am attached with this site is because of an article by a young 21 woman executive, Star Hughes, on which she tried to make a difference. And with that she got it. I would say that I got something little likeness on this story. I became IT Manager of Thrift Bank here in Philippines at the age of 28 and with my courage; I do part time jobs and do my Master in Information Systems in University of Philippines – Open University. With that I bought 150-square-meter in nearby city of Puerto Galera which is in Batangas City. The place is near SM City Batangas which is merely costly. But looking on better investment, I bought it for future plans like commercial building or apartment. I didn’t learn those things on my profession but on my experience in the bank. With my helping hand to develop our service and continuity of the strategy that we have, there were times I do hands on job on the operation. This made me feel great because I met a lot of business people that made me eager to pursue business. As an IT enthusiast, my dream will be a consultancy business in line with Information Technology (IT), blogging, and a food cart business. Currently I am done with the first two and working out on the third one. 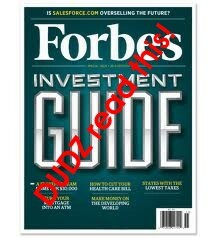 Going back to Forbes.com, this is the site I love to read business articles and blogs worldwide. It inspires me and boosts me on my advocacy in life. This is on how I plan and pursue my future endeavor. For Philippine brands and top brands you can visit http://amazingbrandz.blogspot.com. I found a book in National book store entitled “Buhay na Hindi Bitin”. At first glance, I stop and become curious. Buhay na di bitin or Perang di bitin? Is it a book or a journal? For me it is a book because the knowledge you will gain from 26-page of content is meaningful. You can apply those things in life and pursue a worry free and happiness in life, like me. You’ll generate enough income in pursuing the passion of work you are doing. How can you live your life content, blessed and worry-free? Many people deal with stress, big and small problems and even success and wealth – but at the end of the day, they feel bitin. Puerto Galera as top 45 top dive spot in the world claims its beautiful scenery of underwater especially the Canyon. This is the main reason why every corner of Sabang Beach and White Beach are dive shops. Diving is the most in demand to dos in the island which you need to go deeper and learn the basic and have the license to dive. You need to undergo trainings and safety to go into diving. 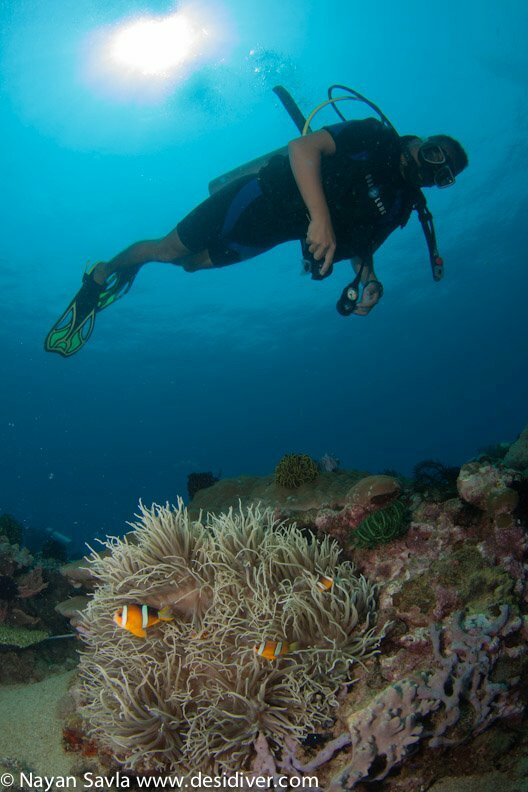 For most divers, for them it’s a relaxation and pleasure that you will see the different view of the Earth. We all know that 71% of the Earth surface is water. Tremendously, water covers up the whole world which is dominated by sea water. Speaking of diving below are some diving shots from my diver friend and classmate, Marlon Albo. "Kasi lahat alam mo na eh. Kaw na lang ang kulang sa kin." Coca-Cola Coke as they celebrate their 100 years of happiness here in the Philippines really creates every Filipino table more meaningful during meals. 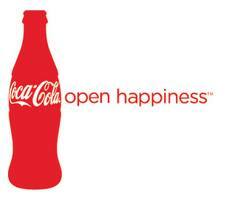 Their ads for happiness as Caloy introduces himself give the popularity of the mentioned soda. Is the stock of Coke in supermarkets connected with its well known advertisement that catches the taste of Filipinos?